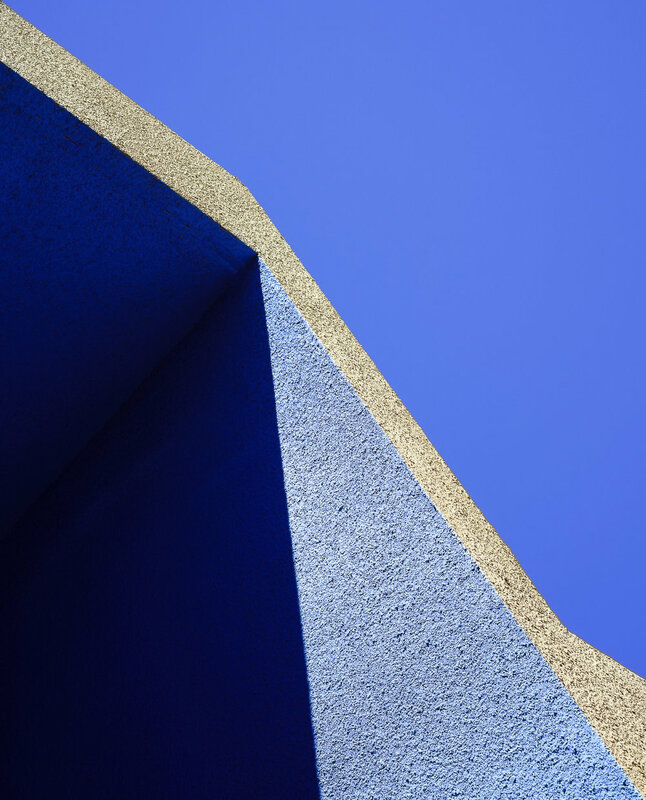 Natalie Christensen is a photographer based in Santa Fe, New Mexico. She has won several regional awards and shown work in the U.S. and internationally. Unconventionally, Natalie launched her photography career on Instagram. In addition to pursuing her interests in art and design, Natalie has worked as a psychotherapist for over 25 years and has been particularly influenced by the work of depth psychologist, Carl Jung. This influence is evidenced in her photographs, as shadows and archetypal images are favoured subjects. Hello Natalie, when did you first become interested in photography as a mode of expression? I became interested in photography as a mode of expression about two years ago. I had relocated to the American Southwest after living my entire life in a very different part of the United States. I think that photography helped me process the experience of a new environment. I always thought of myself as a verbal person, expressing myself through words. Something about this new place nudged the visual side of me. As a former psychotherapist, what made you decide to dive finally into the career of a photographer? I am still working in the helping profession, as a consultant, however, I am also a photographer and it takes up an equal amount of time. I am fortunate to be able to devote myself to this, and I have a very supportive partner who has encouraged me to follow this road wherever it leads. Let’s talk about your project New Mexico Deconstructed. How did the idea come up for this project? New Mexico Deconstructed wasn’t an idea until after a number of these photos were already taken. I was drawn to certain types of scenes here without an articulated reason as to why. As a therapist, I often look for patterns in people’s lives and explore the possibilities of the meaning of these patterns. I did the same with my own images. I noticed certain similarities in the images and realized that there was a series happening without a conscious plan. This was very early in my exploration of photography, and I didn't really understand the idea of projects and series. I was just taking photos! The pictures are very well composed, minimalistic and have kind of meditative mood. How did you cultivate your sense of composition? Coco Chanel once said about accessories: “Always remove one thing before you leave the house. Less is more.” I think this applies not only to fashion but also to interiors, architecture, photography and other art forms. When I am out shooting, I am very drawn to negative space; I think it is very restful for the brain to experience it. I think I have a deep attraction for geometry as well, and so this combined with negative space and a tight composition conveys a meditative experience. The images are simple, but I hope that they also invite the viewer to contemplate something deeper. You intentionally shoot in „unattractive environments“. Do you have an idea why? Of course, the inner voice of the artist is what creates “authentic” work. The world of sharing and viewing art through social media can make this difficult – is this my authentic voice or am I being influenced by what I see others doing? I don’t know the answer to that question. I struggle with it. You started your photography career on Instagram. Do you think Instagram gave you the opportunity to break through as an artist? Yes, Instagram has been the vehicle for me to launch my career as a photographer. As different people began to take notice and feature my work, I gained more confidence. It has lead to showing my work in galleries as well as gallery representation, which has been a major goal for me. The stage is very large and it’s impossible to overstate its influence on contemporary photography. Do you think Instagram had an influence on the aesthetics of your work? Yes, as I previously stated, Instagram is the place where very talented photographers are sharing their work regularly, and viewing it definitely has an influence on my own work. Minimalism is very popular and there is no shortage of inspiration to be found. What is the most challenging for you about photography? The most challenging thing for me at the moment is the technical side of photography – learning the camera settings as well as Lightroom and Photoshop. Since I have no formal education in photography I am learning it on my own and with help from other photographer friends. Female photographers I admire include Cindy Sherman, Sally Mann, Sinziana Velicescu, and Haley Eichenbaum.